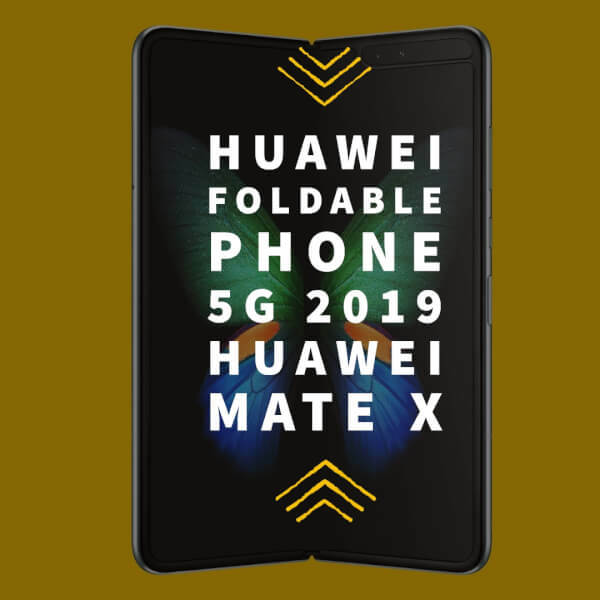 Huawei foldable phone in 2019- Mate X 5G! This time, the market will be of foldable phones in 2019. Just after a couple days of Samsung Fold being unveiled with a ridiculous price tag, Huawei is here! Huawei is going to launch a foldable phone in 2019. At least, the leaks point to that way only. This Huawei foldable phone in 2019 will be the fastest 5G foldable phone as claimed by Huawei. You might be wondering how we know it as there hasn’t been any official announcement yet. C’mon you know us, we have a strong leak about this Huawei foldable phone in 2019 named Huawei Mate X. 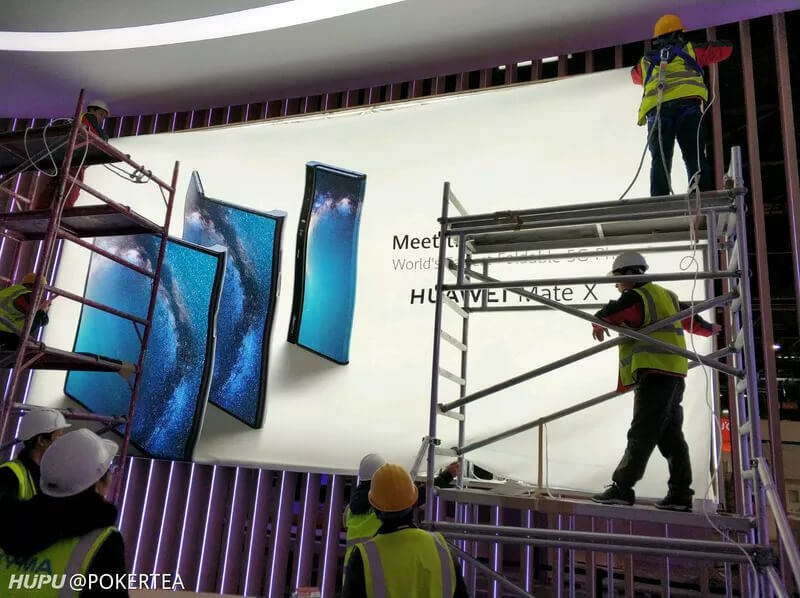 Check out the banner from Huawei MWC conference preparation below where you can clearly see the Huawei Foldable phone in 2019, of course. This banner originally leaked at a Chinese social media website from where SlashLeaked posted it. According to a user in SlashLeaked, the Huawei foldable phone in 2019 will launch in MWC and the source is this tweet. The profile, however, doesn’t look authentic, whereas the banner looks so obvious. The work for the banner of Huawei foldable phone in 2019 looks under progress but looks too natural to be fake. However, the banner isn’t prominent here much. The image resolution of the Huawei foldable in 2019 is low, but we can read the text. The banner says, “World’s fastest 5G phone”. Following that, it says “Huawei Mate X”. The top line isn’t visible but still, we can assume it will be something like “Meet the new generation/technology” or something similar. If we go by the image of the phone, the Huawei foldable phone looks to fold outwards. 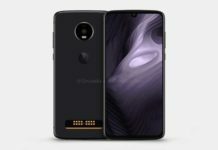 Moreover, it appears that it will have triple cameras. The phone looks like won’t fold in half, i.e. from the center line but the 2 foldable parts will have a 70%:30% ratio at least. The power button also looks like will integrate the fingerprint scanner from the size of it. 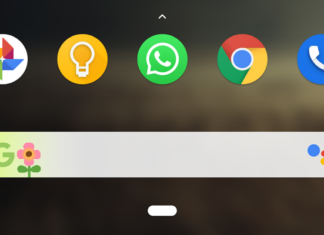 So no under-display unfortunately. 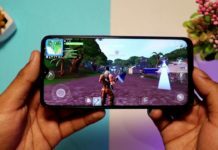 In the Chinese social media platform, some of the users are trolling Samsung and claiming Huawei foldable phone to be the best. Indeed, they’re very excited. In Slashleaks though, a few users are condemning the “Fastest 5G foldable phone” tagline of Huawei. If his Huawei foldable phone in 2019 launches in MWC 2019, it will sport a Kirin 980 processor. Though Kirin 980 is a flagship processor and is very strong in performance and efficiency, its GPU quality has remained under debate. 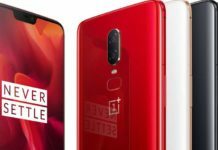 The Mali GPU hasn’t performed the same as like its Adreno counterpart in Snapdragon 845 or 855. We guess we’ll have to wait for a verdict of judgment until any official confirmation of the Huawei Foldable phone in 2019: Huawei Mate X.